KW Collards • BLACK American MADE - BAM! America’s New Favorite Side Dish! KW Collards” is the trademark name of a genre of exceptionally spiced and prepared ‘heat and serve’ collard greens. They are flavorful and tender and have no animal fat, no animal products, no trans-fat, no artificial ingredients and no artificial preservatives. Packaged as a specialty item in 32oz. 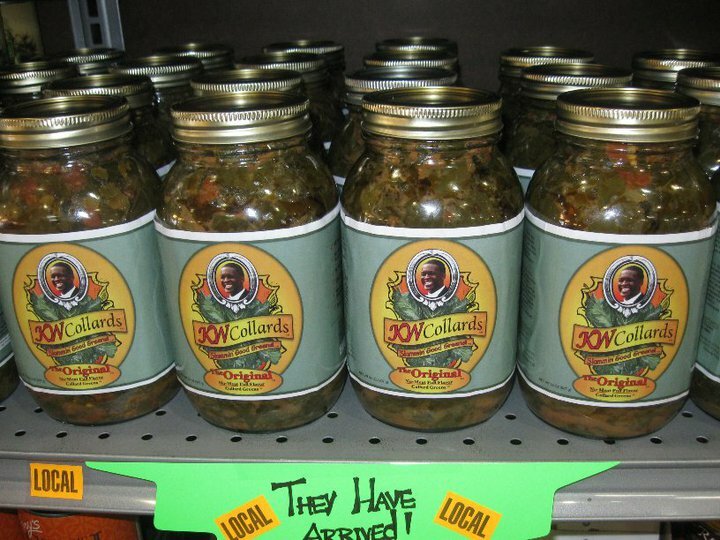 Mason jars, “KW Collards” are marketed not only in mainstream grocery stores but, because they contain no pork, they also can be found in gourmet food shops, natural and health food stores, Jewish markets, vegan and vegetarian markets, and internationally over the world wide web. In addition, “KW Collards” are now available frozen in vacuum-sealed packages for catering and restaurant use. My mom just served these. So excellent. Both the flavor and texture were off the charts. Hard to believe they came from a jar and no animal by products. Totally yummy.